Carl Lovetere is a Real Estate Broker/Salesmen with an Accounting Degree. Carl started his real estate career in 1983 in New Jersey working as a full time Realtor with a major real estate company. In 1984 Carl and his wife moved to Florida in order to compete in Water Skiing year round. Carl worked as a Realtor full time with a major real estate company from 1984 to 1992. Over the years Carl completed real estate classes to earn designations to increase his knowledge and develop the skills necessary to be a successful Realtor. In 1989 Carl upgraded his Real Estate License status to Broker/Salesman. In 1996 Carl completed the requirement to become a Certified Residential Specialists. In 2010 Carl joined an online site to streamline the process to close short sales. This system is used by two of the largest lenders for mortgages. In 2010 Carl became a Certified Distressed Property Expert to gain more knowledge about Short Sales and Foreclosures. 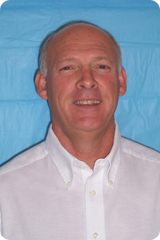 In 2012 Carl completed the course to receive the Short Sales and Foreclosure Resource Certification. In 2012 Carl completed the online Platinum Level Certification for REO and Short Sale Properties. From 1984 to December of 2012 Carl has had over 350 Real Estate Closings. Carl’s background of working with people face to face, strong business ethics, excellent marketing program and hard work , make him an outstanding choice for selling your home or finding the right home for you. Carl has been a Triathlete since 2002, in 2013 he was ranked in the top 62% for his age group.